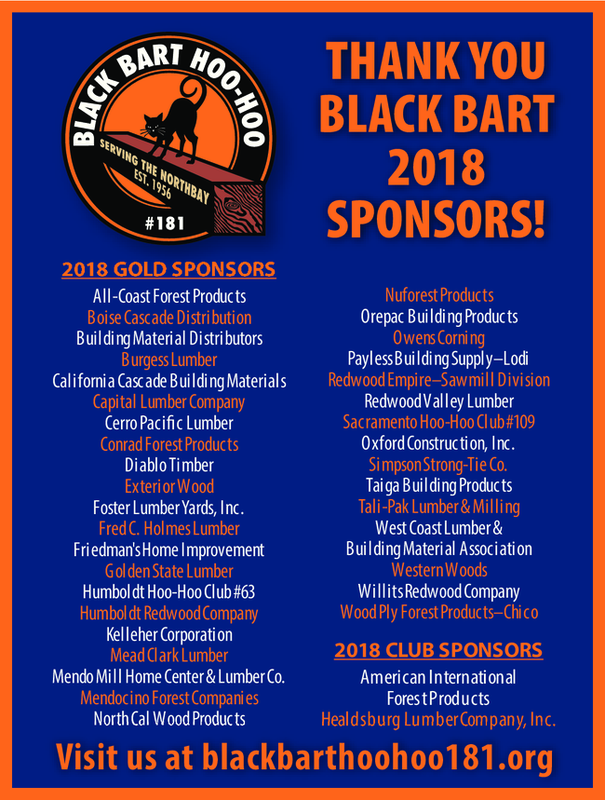 The Black Bart Hoo-Hoo Club #181 is a fraternal organization of people representing all facets of the forest products industry. We encourage and promote friendly relations and cooperation in the forest products industry through social interaction. We educate, instill confidence in and support people and communities within our sphere of influence. We believe that supporting the welfare and promotion of our industry keeps it healthy and able to continue to provide valuable benefits to society.